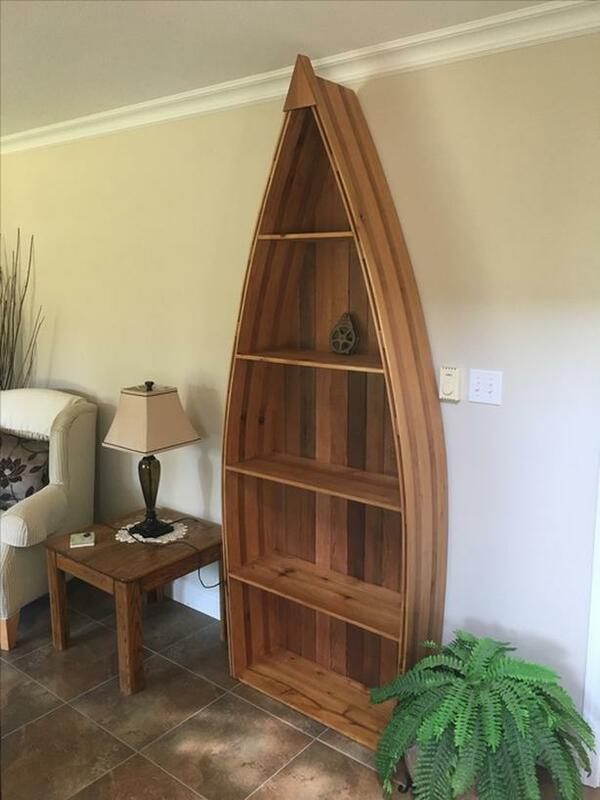 The shelf stands at just under 8' so it will fit in any standard home. It is crafted from cedar strips, stained with a nice light walnut and finished with a clear coat. The shelf is brand new, I just finished building it. I'm selling it to fund some new tools for my shop. Thanks for reading, the photos don't do it justice.